The Young Mao was influenced by Kang Youwei's The Great Harmony and the Japanese warrior Mushanokoji Saneatsu's New Village (Atarashikimura) Movement. Mao had joined with others to plan a "New Village" in Yuelushan where thinkers could work and study together and share their assets and the fruits of their labor. He had never had the opportunity to put that plan into practice. In 1958, Mao believed the time had finally come. He had written "When Kang Youwei wrote The Great Harmony, he had not and could not have found a road to that Great Harmony." Mao believed he had found that road in the communes [of the Great Leap Forward]. This essay provides a simple exploration of some of the ostensible sources of Mao Zedong's (毛澤東) ideology, following the cue provided by Yang Jisheng's (楊繼繩) Tombstone (quoted above). The first and most general discovery is that the connection between Maoism and the sources discussed in this essay has attracted very little attention in the English-language evaluation of Maoist Communism. Chinese and Japanese sources are outside of the scope of this essay, but, in English at least, it seems that remarkably little attention has been paid to this aspect of the legacies of Mushanokoji (武者小路 實篤, also writ Mushakoji) and Kang Youwei (康有為, also writ K'ang Yu-Wei). Both names remain famous, but their significance for Maoism --specifically-- seems to have escaped notice in English. As a preliminary warning, we must note that both Mushanokoji and Kang Youwei are now remembered as anti-Comminsts. This is itself a reason why their importance for Mao's ideology may have been overlooked or under-rated. The purpose of this paper is to make the almost-paradoxical suggestion that these "anti-Communist" texts need to be reexamined as proto-Communist sources, influencing the development of Communism in China. Mushanokoji's fame derived from his work as an author of literature and plays; his status in history remains that of a literary figure, not a revolutionary, nor a political leader (although he was, briefly, appointed to Japan's Diet in 1946, as will be mentioned below, indicating that he had the potential to be a significant political leader in his own lifetime). However, (i) there are strong reasons for post-war authors to minimize Mushanokoji's politics in retrospect, as his political writing did strongly identify him both with the empire and with fascism (discussed below), and (ii) while English-language resources are insufficient to prove the point, it seems reasonable to assert that Mushanokoji's political significance took on "a second life" in the form that was relayed (and reinterpreted) through other authors, who were not fascists, such as Osugi Sakae (大杉 栄). Of course, admirers of Mushanokoji might be inclined to disregard a link between his small-scale experiment with ("utopian") commune-organization and Mao Zedong's extremely violent, large-scale implementation of related ideas (with disastrous results, and many millions of deaths ensuing). 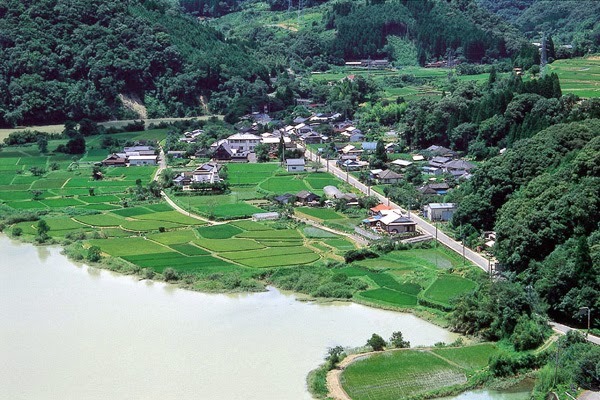 The connection between Mushanokoji's (seemingly innocuous) "New Village" (新しき村) and Maoism is probably embarrassing to both sides: neither admirers of Mao nor admirers of Mushanokoji would be inclined to promote the connection between the two as flattering to their respective causes. As English-language sources are lacking, this essay can do little more than declare the possibility that Mushanokoji's political significance in China may have been magnified by the recapitulation of his ideas in the writing of the famous and influential anarchist, Osugi Sakae. If so, this may have presented Chinese readers (such as Mao himself) with access to the same utopian ideas in a format that was significantly lacking in the fascist and religious overtones of Mushanokoji's own work (discussed below). In both China and Japan, Osugi Sakae was one of the most influential political figures of the 20th century, and it is quite likely (although impossible for this essay to establish as a matter of fact) that his discussions of Mushanokoji's ideas were at least as influential as the primary sources, if not moreso. These secondary sources have never been translated into English (e.g., Hiyazaki, 2013, p. 378, lists a ten-page article on Mushanokoji's New Village philosophy, published by Osugi in 1922). In current (English-language) biographies, Mushanokoji is either remembered as a utopian anarchist or else simply described as a literary figure, i.e., diminishing the importance of his politics, relative to his significance as a creative writer. It is peculiar to note (e.g.) that the Encyclopedia Britannica entry (2013 update) neither uses the word anarchist nor fascist to describe Mushanokoji. Instead, this encyclopedia vaguely links his "humanitarian ideology" to Leo Tolstoy and the Christian Bible, summarizing his philosophy as one of "humanistic optimism". This one-sided approach avoids the very real possibility that the man could be remembered as a fascist. His older brother (武者小路 公共) was Japan's ambassador to Nazi Germany (where Mushanokoji visited him in 1936), and the "aristocratic" status of his family seems to have influenced his philosophy strongly (as we shall see below). Although still flattering compared to Yiu's (2008a) treatment of the subject, this is still a remarkable contrast to the Encyclopedia Britannica entry. Note, also, that the short bio offered in Japanese by his own memorial museum, Mushakoji Saneatsu Kinenkan (www.mushakoji.org), is thoroughly depoliticized, with no mention of Communism, Anarchism or Fascism. In a separate essay, Yiu suggests that Mushanokoji broke away from Tolstoy at this early stage (ca. 1908) with a long series of works on the ego (自己) ensuing. (Yiu, 2008b, p. 216) Simply in reading Yiu's summary, it seems plausible to me that Mushanokoji was responding to the philosophy of Max Stirner in this period. Stirner was a direct influence on the anarchism of Osugi Sakae and other radical intellectuals in Japan of the same generation, partly via Osugi's own writing. However, Mushanokoji seems to be offering a defense of Aristocratic and fascist values against a Stirnerian critique (i.e., he does not seem to be embracing Stirner or Stirnerian criticism, although he is making use of some of the key terms and familiar tropes). In one of the defining paradoxes of the era (that can never quite be translated), Japan's future utopia was, in some sense, manifest in the current experiment in Manchuria; Yiu (2008a, p. 225) points out that the flag Mushanokoji created for his own utopia (新しき村) was suspiciously similar to the flag the Japanese assigned to Manchukuo (滿洲國). Both show a variety of colors representing ethnic diversity unified by Japanese (imperial) rule (Manchukuo's flag is glossed as "five races under one rule", whereas the New Village flag presents a broader "four races", but still fundamentally using the same symbolism). Mushanokoji's own "New Village" was in some sense a rehearsal for an imagined "New Japan", but, at the same time, Manchuria (under Japanese dominion) was also imagined to be a New Japan of some sort. While it is outside of the scope of this essay to evaluate Mushanokoji's politics (as none of the requisite sources are available to me in English translation), these preliminary notes indicate that more than one characterization is certainly possible. 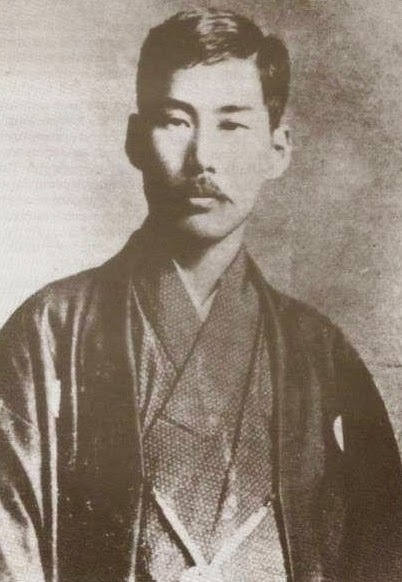 Mushanokoji is strongly linked to anarchism through Osugi Sakae, and strongly linked to fascism both through his family and some of his writings (that were never recanted after the war's end). Attempts to put Mushanokoji in the same camp as Tolstoy (a devout pacifist) seem like faintly absurd apologetics; he might instead be considered in the same category as Knut Hamsun (i.e., famed authors who espoused philosophies that are now tainted by their connections to wartime fascism). At present, the English-language evaluation of Mushanokoji's political significance seems to be at a very rudimentary stage, and very few sources were available for this study. 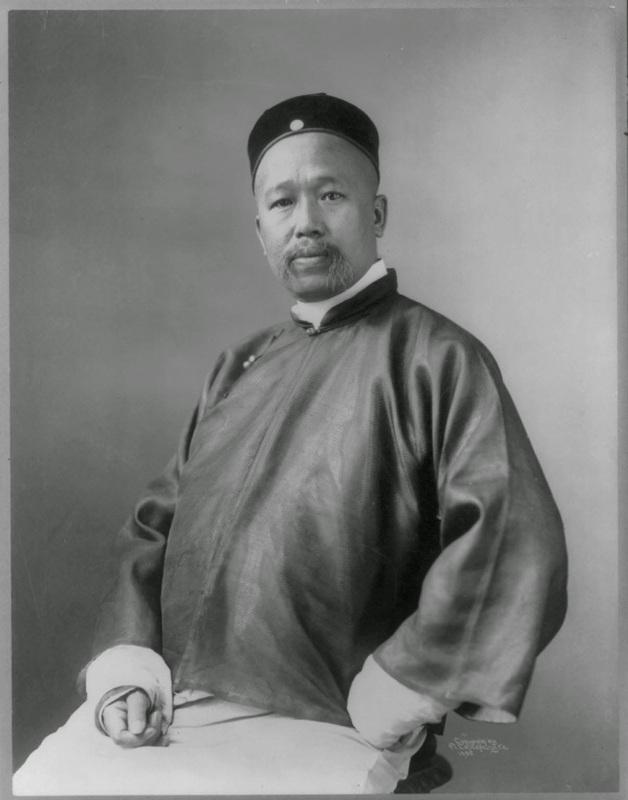 Kang Youwei (康有為) is primarily remembered for his role in China's failed "Hundred Days of Reform" (戊戌變法) in 1898. During this brief period, Kang was at the pinnacle of fame and political influence, and the association of his name with this relatively early event may result in some discounting the possibility that he was a significant influence on Maoism (decades later). Perhaps, also, there is a tendency among some authors to prefer to treat the real-world political career of Kang exclusively, avoiding discussion of Kang's utopian philosophy as an unwanted distraction; for example, in Wong's (2010) Beyond Confucian China, the utopia of the Great Unity (大同) is only mentioned on a single page (p. 77), while discussion of Kang occupies about half of the book. The result is that Wong's version of Kang is strikingly different from the one addressed in this essay: Wong primarily remembers Kang in terms of his involvement in practical, real-world political debates, and not in terms of the utopian social philosophy he espoused, but that was only published (posthumously) in 1935. There is significant confusion on the chronology of the emergence of the book itself (大同書). The first two chapters (containing none of the radical material) were published at an earlier date (in 1902), but nobody aside from Kang's personal friends could have known how radical his political philosophy really was before 1935. (Thompson, 1958, p. 27) 1935 was, incongruously, the same year that Thomas More's Utopia was translated into Chinese for the first time. Kang had decided to delay the publication of his own magnum opus because he considered the ideas too shocking to be revealed. (Ibidem) We may add that his decision was reasonable: Kang relied on the financial support of his political sympathizers (in his years of exile and travel around the world after 1898) and his utopian vision might well have alienated many moderate reformers in his coterie. Mao Zedong was born in 1893, and (thus) was too young to directly remember the political events of 1898, but he was certainly at the right age to be influenced by an exciting, newly-published utopian philosophy in 1935. By this point, Kang's name had already been famous for quite some time, so the posthumous emergence of something shocking and new attached to this name (heretofore considered a moderate reformer) would have drawn the attention of many intellectuals who had a mix of literary and political interests (as Mao himself did). An earlier generation would have associated Kang primarily with his calls for moderate advances toward constitutional monarchy (and the emulation of Western governments generally) in the late 19th century, but Mao was born at the right time to instead encounter Kang as the author of the much more radical (and, indeed, utopian) ideas of 1935. Meanwhile, true-believing Communists would be disinclined to admit that Kang was an important influence on Mao and Maoism: "From the perspective of [Chinese] revolutionary orthodoxy", Kang Youwei would be a "hopeless reactionary". (Wong, 2010, p. 1) This is similar to the pattern already noted for Mushanokoji in relation to Maoism (i.e., adherents of each side would be inclined to disregard the connection to the other). Some sources (like Yang, 2012, quoted at the start of this essay and Guo, 2003) treat the connection between Kang and Mao as so obvious as to be self-evident ("The structural similarities between [Kang Youwei's] plan and the rural commune of Communist China are too obvious to require comment", Hsiao, 1975, p. 470). It was probably in reading Kang's utopia that Mao came to be so confident that the collectivization of both food-production and food-consumption would bring about miraculous, positive changes in society. Although some European Communists were interested in the historical memory of (enforced) communal dining in ancient Sparta, it seems much more likely that the general pattern of Mao's Great Leap Forward (and the organization of the People's Communes in this period) derived from Kang's influence more than any other source. Mao, like Kang, believed that by forcing people to eat in communal dining halls (depriving them of the right to feed themselves, to store food for themselves, etc. etc.) he was bringing about a liberation of the human spirit itself, overcoming the instinct to selfishness in the next generation, by destroying the very idea of private property. This whole praxis, ultimately, aims at a spiritual goal rather than a merely economic one, and, thus, resembles Kang's utopia more than Marx, Lenin, or Stalin. However, as we will see below, there are many important aspects of Kang's blueprint that Mao chose to ignore. What were the ideas (in Kang's Great Unity) that so strongly influenced Mao, despite Kang's lack of Communist credentials? In turning to the summary translation provided by Thompson (1958), it is easy to imagine Mao's excitement in encountering this detailed description of what the ideal commune was actually supposed to be, in a language and cultural idiom that Mao might find more appealing than translated excerpts from European Communists. Kang appeals writes about a radically alien and new ideas using traditional Confucian verbiage: his society is built on the untranslatable virtue of ren (仁), and relates Darwinian ideas in vaguely Buddhist terms, and so on. While Chinese Communists (including Mao himself) tried to repackage European Marxist ideas in a form that would appeal to the Chinese, Kang's philosophy is an indigenous literary product, and has many advantages (even if just considered as propaganda) in appealing to the contemporaneous reader. Although, for example, Kang was very interested in Darwinism (e.g., Thompson, 1958, p. 258) and new developments in western natural sciences, he discusses them in a thoroughly Chinese way that would appeal to a Chinese reader (e.g., he notes that the microscope reveals to us that even the Buddha killed innumerable tiny creatures every time he drank water (Ibid, p. 267–8)). Of course, the book also contains many unscientific attitudes (and various opinions that would be considered racist, even shockingly so, today) that are outside the scope of this discussion. One interesting aspect of Kang's approach is his conviction that all love and friendship exists only in the short-term, with people being naturally inclined to quarrel and turn against one-another after a time. As noted above, as parents turn against their children (and vice-versa), brothers turn against brothers, etc. ; all of society seems to have only the capacity for fleeting friendships based on common opinion, that can break down and rejoin at any time. Consistent with this view of human nature, Kang understands all sexuality (for women and men alike, "even sages") as seeking out novelty and beauty at all times, and therefore as totally incompatible with traditional marriage, even in the short term. (Ibid, p. 164) He proposes that the maximum duration of a marriage contract should be only one year, with the possibility of signing a new contract (annually) thereafter. (p. 166) While Kang continues to use Confucian terminology, we can see that his assumptions about human nature are almost at the opposite extreme from the Confucian ideal. …really the key to bringing about One World [大同, a.k.a. the Great Unity], and it is really basic to [Kang's] other reforms. The main thesis is that the obligations and restrictions of the private family inevitably involve selfishness and private considerations; this makes a "public order" of things inherently impossible. Whereas Marxism promised that an economic transformation of society would ensue after a violent revolution, Kang was promising a non-violent transformation of society by replacing all family relations with public institutions. It is, perhaps, because of the tremendous strength of Chinese family and clan institutions (in the late 19th century) that it seemed to Kang that the destruction of these ties would unleash tremendous human potential for positive change. Not all aspects of Kang's plan are equally absurd: in claiming that the equal education of women (and the end of women's obligations toward the family) would allow new talent (currently going to waste) to come to fruition, he was doubtless making an argument that many could sympathize with even today. Conversely, his belief that once women become educated and equal "they will not endure willingly the sufferings and handicaps of bearing and caring for children" (Ibid., p. 191) is impossible for a 21st century reader to take seriously. Recurring throughout Kang's work, also, we see the astoundingly simplistic assumption that the destruction of private property would itself be creative, both in terms of creating a new society based on principles of public property, and in eliminating selfishness (as a personality trait or psychological fact). (Ibid, p. 37) This seems to be a deep-seated assumption that Mao either shared with Kang, or else that he learned from Kang. As with Mao's whole approach to social change, Kang presumes that the problem facing China is merely a process of elimination (and, indeed, demolition) with very little thought given to the difficulty of actually producing better alternatives to replace the things being eliminated. When you destroy what's bad, supposedly, a superior form of social organization emerges unplanned, despite the total commitment (of both Kang and Mao) to a planned society (with practically everything under government control). Kang's notion of abolition is applied to subjects as diverse as the family, private property, etc., in the same way that he applies it to racism, caste-discrimination, and social-class-discrimination. There is no sensitivity whatsoever to the complexity of real historical examples of abolition (such as the abolition of slavery in the U.S.A., or anywhere else) and the less-than-utopian periods of political struggle that have tended to ensue thereafter. Instead, Kang's work simply invites us to believe that various types of destruction will miraculously result in both (i) reorganizing institutions and (ii) profoundly changing the motives of people from "selfish" to "co-operative". We can only imagine that Mao would have been a very receptive audience for Kang's description of how a publicly-run factory becomes much more efficient than a privately-run factory (Ibid., p. 223–4); in these pseudo-economic statements about public management and distribution, Kang's text comes very close to the principles that really were put into action in the Great Leap Forward (with disastrous results). Likewise, it is little more than an article of faith that the purpose of government will become the promotion of human happiness (etc. ), simply because Kang has explained to us that this is the only legitimate function the government can possibly serve. (Ibid, p. 37) Given Kang's direct involvement in such a tumultuous period of Chinese politics, it is difficult to believe that such arguments are being advanced in earnest. In many respects, in the discussion above, we can see that Kang's utopia supplied inspirational material that Mao might have found lacking in "canonical" Communist sources. Of course, we may also speculate that the sheer grandiosity of Kang's book appealed to Mao and early Maoists, in contrast to (e.g.) the drabness of Soviet reports on the results of collectivization under Lenin and Stalin. Even when infused with propaganda, descriptions of the results of economic experiments outside of China (prior to and during Mao's rule) lacked the simple reassurance that Kang provided: smash the old society, and the rest will follow. Of course, it can hardly be believed that Kang's own social circle interpreted his utopia in this way (rather, I suspect they would have read it as a wistful set of fantasies following after the failure of Kang's own efforts at moderate social reforms); however, it is a correct (and direct) reading of what the text actually says. Although Kang certainly did not intend it as such, his Great Unification (大同書) needs to be examined as a proto-Maoist text. There are, however, differences between Mao and Kang that are also extremely important. Kang's utopia is hyper-democratic, and his assumptions about how democracy works reflect what were then the standards of the modern west. Parliaments and ballot-boxes are everywhere, and voting decides everything. (Thompson, 1958, p. 38) The parliaments are, basically, "like the Swiss"
(Ibid., p. 91), except that all of the members are entirely equal (i.e., there are neither presidents nor prime-ministers nor any other leaders (p. 39)). Neither Mao nor Maoism took any interest in this aspect of Kang's philosophy, and there is, sadly, no visible interest in emulating Swiss democracy within the Chinese Communist Party today. Kang's utopia is very concerned with the welfare of animals, and is in fact vegan; in his vision of the future, eating meat will be "no longer a human practice". (Ibid., p. 41) Again, the world would be a very different place if Mao had taken an interest in this side of Kang's philosophy, but he evidently didn't. While many small differences between the two could be listed, I would draw special attention to the role of money. Mao's view of currency as an evil unto itself resembles no utopian thinker known to me more than Thomas More; by contrast, while Kang has given free reign to his imagination, he still plans for his future utopia to include currency and monetary reward (p. 38), and even banking (p. 239) --although it is "public banking", operated by the government. Although nothing about Kang's utopia can be properly called realistic, one can still see in the text the potential for another reader to glean a number of realistic lessons from it, rather than sketching out the plans for the Great Leap Forward. 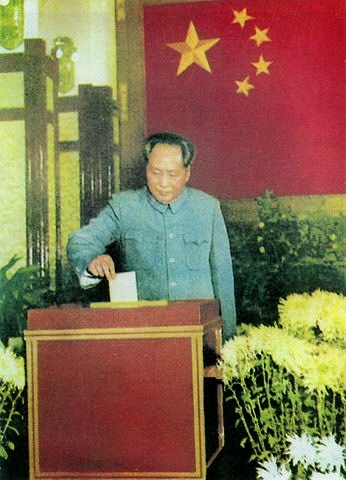 Although Kang's utopia goes much further than suggesting that China should merely adopt western-style, electoral democracy, it is nevertheless a crucial, baseline assumption of his that China should do so (and that voting should decide a much greater range of issues and policies than has ever been the case in a real-world democracy). Kang, also, is "realistic" in assuming that people are still motivated by financial rewards and by the competition for honors and status, even when these rewards are being assigned in accordance with ren (仁) by a parliament that avowedly treats everyone as absolutely equal. Although Kang claims that his scheme will put an end to all selfishness, we still see throughout his utopia that human beings are basically motivated by gain, fame, and sensual gratification; this is, perhaps, a more realistic view of human nature than the one taken by Mao himself, or by 20th century Communists generally. Utopia? Mushanokoji's New Village today. We should devote a few words, also, to the significant differences between Mushanokoji's commune and the Maoist commune. 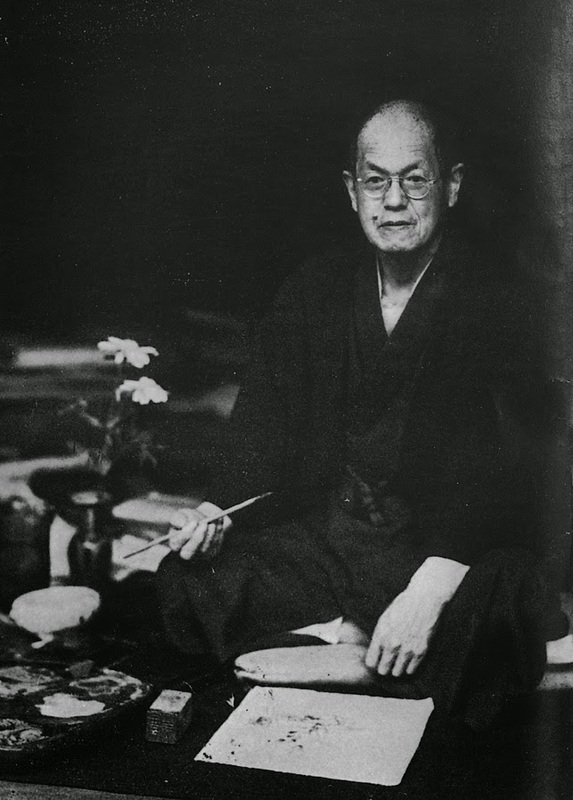 Firstly, while Maoism was openly hostile toward individualism (like most of European Communism), Mushanokoji's ideology claimed to be promoting the status of the autonomous individual (an individual who is, frankly, not an anonymous everyman, but presumed to be an intellectual or creative artist of some kind). This is broadly derived from the whole emphasis and direction of Japan's "I-Novel" period of literature, in which Mushanokoji was a leading voice, (Yiu, 2008b, p. 206) and perhaps also reflects an awareness of the anarchist and Stirnerian critiques aforementioned (and made popular by Osugi Sakae, etc.). Mushanokoji's objectives are profoundly different from those of Mao (or Kang) in that he is trying to maximize the individual's capacity for self-expression, within given material constraints. This is very different from utopian systems that presume the material constraints themselves will be suddenly transformed (as Kang and Mao did); instead, it seems to take for granted the various constraints of living in a somewhat impoverished village in Japan, ca. 1920, and works within the (reasonable-but-untrue) assumption that the collective income on the farm would be more than sufficient to cover their costs, including health-care, education and so on. In practice, this didn't work (the commune failed to achieve self-sufficiency (Ibid, p. 208)), but it remains a model of limited labor achieving a limited goal, with the grandiose claims being directed toward what the individual is then free to achieve in his/her unfettered private time. Mushanokoji's administration accomplishes this goal, simply, by fixing a maximum limit of six hours of labor per day, an idea apparently lifted directly from Thomas More's Utopia. (Yiu, 2008b, p. 215) Although this may not sound like much of a utopia to boasted of, the tens of thousands who were worked to death in China's Great Leap Forward would have wept for joy at the idea that the government would limit itself to exacting six hours of (unpaid) labor each day. In other words, given the extreme politics of the era (in both China and Japan), this modest idea may deserve some special credit. Although Mushanokoji's village seems to be somewhat egalitarian in practice, in theory it isn't: he openly embraced a form of aristocratic rule (of unequals) on the basis that these rulers must have compassion for the suffering of others as a component of the distinctive greatness that makes them better than the people they rule over. (Yiu, 2008b, p. 217) It is not clear to me how this model would (procedurally) avoid slipping from "benevolent dictatorship" into familiar patterns of despotism or feudalism. Perhaps this is intentionally left unclear as, e.g., nobody in the one village under Mushanokoji's own rule had the right to depose Mushanokoji, nor to elect a replacement, nor to vote to overturn his decisions (etc.). In conclusion, the basic proposal of this essay is that two major anti-Communist authors need to be re-examined as major influences on Chinese Communism. Regardless of the intentions of the authors, it seems inexorable to conclude (even on the basis of scant English-language materials now available) that Mushanokoji and Kang were two of the most important sources in shaping Mao, Maoism and the "utopian dreams" of the Great Leap Forward (and People's Communes) especially. What form did this influence take? I would suggest that these utopias served to either form or affirm certain basic assumptions within Maoism. For example, one of the assumptions that Mushanokoji has in common with Kang is that the new society will have a much greater scope for personal leisure, and for the individual to choose their own preferred form of work/labor to a much greater extent than in contemporaneous Asian society. Mushanokoji confidently declares that "if there is even one person on earth who works only for the sake of bread, then it is proof that our society is still inadequate." (Yiu, 2008b, p. 219) This is grandiose in a subtle way: neither Mushanokoji's own experience in reorganizing a village nor any other historical case-study suggests that a sudden proliferation of both leisure and work opportunities ("for all") could be made available through the replacement of private property with a commune. However, it is easy for a reader to be lulled into a kind of unquestioning confidence in these underlying assumptions, in supporting the given utopia as either a critique of the status quo, or as a desirable future objective. In these two sources (Kang and Mushanokoji) there seems to be a reluctance on the part of the authors (even on the level of fantasy) to think through how the administration would really be able to provide the opportunities being promised (or, for that matter, how the public would respond to government failures to deliver on such promises). There is no a priori reason to assume that co-operative models would be less exploitative than any other model (such as, e.g., feudalism) nor that they would offer more opportunities (along with more leisure, more wealth, etc.). These two East Asian utopias offer the reader a sort of misleading confidence that the changes they can bring about in human motivation will result in economic improvements as a natural consequence. On a very fundamental level, both authors are victims of the delusion that virtue results in wealth and opportunity; therefore, the possibility that a virtuous society could also be poverty-stricken or bankrupt never enters into serious consideration (neither for the single village commune, nor for the utopia on a global scale). While all of the utopias considered have a great deal of (top-down) government regulation of life, they also promise a much broader scope of personal freedom to pursue one's own avocations and interests; both Mushanokoji and Kang go much further than the vague Marxist promise of, "From each according to his ability, to each according to his needs!" However, there is no dotted line connecting the coercive collectivization of property and the institutional changes that would present the individual with the opportunities promised. Simply put, if you collectivize an impoverished village, the result nevertheless remains an impoverished village. As I've warned, above, much of the "abolition" (of inequalities, etc.) these authors endorse really involves demolition, with the hope that better alternatives will spontaneously emerge from the rubble (in accordance with the various theories about human nature subscribed to by Kang and Mushanokoji respectively). In this way, the attitudes that would have led Mao, personally, to have so much confidence in basically destructive social reforms (smash the old society, etc. ), can be seen as emerging from Kang and Mushanokoji rather than from "orthodox" Soviet Communism. Conversely, Mushanokoji's faith is in the creative individual and Kang's faith is in democratic decision-making, shared by a parliament of equals; Mao did not really have faith in the same underlying principles that led these other thinkers to expect (or at least hope) that a superior form of social organization would emerge from the rubble. Despite Kang's persona as a Confucian scholar, and despite Mushanokoji's persona as a Japanese aristocrat (if not a fascist), the texts these authors produced filled in many of the blanks in Marxist mythology. Nowhere in Marx's Das Kapital or Communist Manifesto could a reader find an articulated vision of how communes, villages and cities would actually be reorganized: although the idea of the commune was one feature of European Communism, Kang and Mushanokoji provided the reader with practical (if fantastical) discussions of how those communes would actually be different from the status quo, and of how to create them. Clearly, Mao was not alone in finding these grandiose claims more appealing than the type of technical guidance on economic development offered by Soviet advisors. By 1949, the Soviet Union already had prior experience with forced collectivization that China could have learned from (and avoided repeating various specific mistakes, such as, e.g., Lysenko's theories of agriculture, already debunked in the Soviet Union by 1949, but jejunely implemented by Maoists in China all over again, with disaster on a huge scale ensuing). The mere facts of such recent history were not nearly so inspiring as what these utopias promised for China's future. Wishful thinking is a common aspect of human nature, and political leaders are certainly not immune to it. In reading Kang and Mushanokoji we find the outlines and general direction of the mode of wishful thinking that eventually became a kind of madness in 20th century China, resulting in more than 34 million deaths (using the estimate of Yang, 2012). Although a few authors treat this as a plain fact, (Yang, 2012; Guo, 2003; Hsiao, 1975, p. 470) it is clear that the connection is an unsettling challenge to what Wong calls "revolutionary orthodoxy" (Wong, 2010, p. 1), and will come as a surprise to many, as the utopias of Kang and Mushanokoji remain fundamentally alien to canonical Communism. Guo Baogang. 2003. "Utopias of Reconstruction: Chinese Utopianism From Hong Xiuquan to Mao Zedong", in: Journal of Comparative Asian Development, Issue 2(2), p. 197-210. Hiyazaki, Masaya. 2013. "The Communion Without Boundaries and Sakae Osugi’s Anarchism", in: Sociology Study, May 2013, Volume 3, Number 5, p. 370‐378. Hsiao Kung-Chuan. 1975. A Modern China and a New World, University of Washington Press: Seattle. Lo Jung-Pang. 1967. K'ang Yu-Wei: A Biography and a Symposium, University of Arizona Press: Tucson. Thompson, Laurence G. 1958. Ta T'ung Shu: the One-World Philosophy of K'ang Yu-wei. London: George Allen & Unwin Ltd.
Thompson, Laurence G. 1967. "Ta-t'ung Shu and The Communist Manifesto", in: Lo Jung-Pang, 1967, K'ang Yu-Wei: A Biography and a Symposium, p. 341–354, University of Arizona Press: Tucson. Yang Jisheng, 2012, Tombstone: The Great Chinese Famine, 1958-1962, Macmillan: London. Yiu, Angela, 2008a, "From Utopia to Empire: Atarashikimura and A Personal View of the Greater East Asia War", in: Utopian Studies, issue 19.2, p. 213–232. Yiu, Angela, 2008b, "Atarashikimura: The Intellectual and Literary Contexts of a Taishō Utopian Village", in: Japan Review, No. 20, p. 203-230. Wong Young-Tsu, 2010, Beyond Confucian China, Routledge: New York.